Originally a German colony, the British and French invaded the colony at the outbreak of World War One and quickly subdued it. They agreed to divide the territory between them. This division was confirmed by a League of Nations Mandate after the war. It was quite an odd shape not actually being contiguous. They were referred to as the Northern and Southern Zones. Both of them were administered from the neighbouring colony of Nigeria. In 1954 both parts were joined to the Nigeria colony. 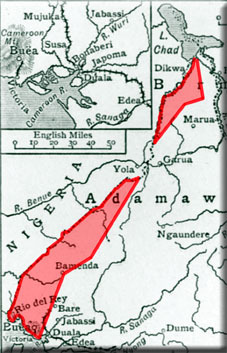 However at independence only the Northern part remained with Nigeria, the Southern part joined the Republic of Cameroon. A National Serviceman recollects his posting to the British Cameroons just as it was about to be awarded its independence. A very detailed M.A. 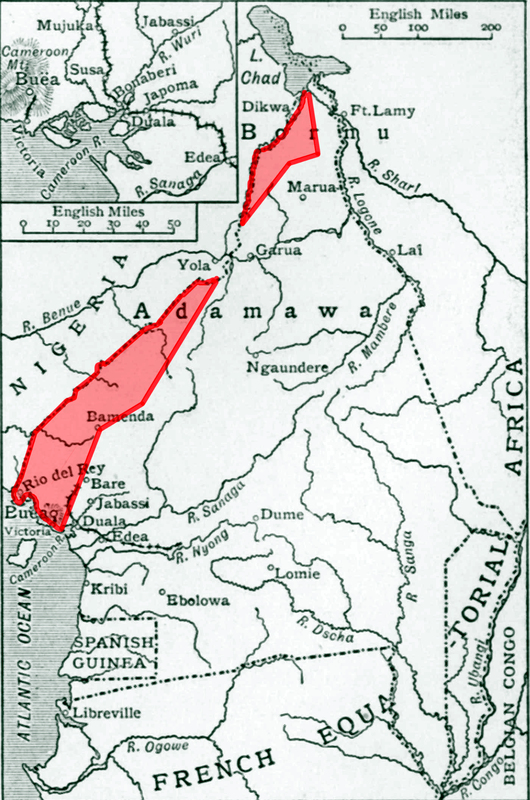 Thesis from 1956 about a tribe in the British Cameroons area.